Last night, during President Barack Obama and former Governor Mitt Romney’s first debate, Obama looked like he would rather be on a date with his wife celebrating their twentieth wedding anniversary. By night’s end, Romney proved to be more assertive, aggressive, confident and landed memorable lines, calling Obama’s economic policy, Trickle Down Government and countering the President’s description of his plan as “inaccurate.” Obama did get in his own lines, but failed to take advantage of opportunities like Romney saying high income earners had done just fine during the economic collapse. He should have compared high income earners like Romney who pay 14% in taxes, to the 47% Romney mentioned in the Mother Jones video, as also dependent on a government entitlement program that allows them to pay a lower percentage. The President was too cautious. He didn’t look like the President who has made tough decisions approving bailouts for the auto and banking industry, stimulus plans, or a successful raid on bin Laden’s compound. More importantly, he didn’t say why his ideas have worked or where we go over the next four years. He was a boring law professor not the person we saw in 2008 who excited voters. When discussing his signature health care reform bill, Obamacare he didn’t say, yes Governor Romney you’re right, Obama Cares! Or effectively hit three important provisions of the bill that resonate with middle class voters. An individual cannot be denied coverage for a pre-existing condition, children can stay on their parent’s insurance until they are 26 and preventive care measures like mammograms are free. 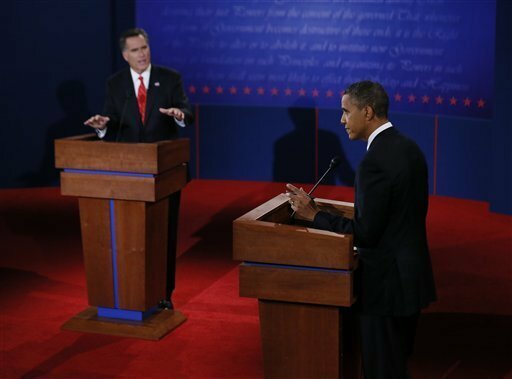 Romney won the debate with numbers, figures and did a commendable job looking at the President throughout the debate. In the coming days, we will learn if those numbers stand up, but by then many undecided voters will be watching the vice presidential debate. The President overall will be remembered for looking down, writing, smirking and nodding to Romney. Unfortunately, he won’t be remembered for key things he didn’t mention like the auto worker’s jobs he saved, women, immigration, Bain Capital, or Romney’s flip flopping. I totally agree on your assessment and how cautious Obama was. I detected perhaps an inner debate. One that had the President wavering on whether to remain Presidential in his approach or to go on that attack at the risk of looking more like a candidate than the incumbent. It appears that he went with the former tack and as we knew when we were watching him..it didn’t work. The President appeared to be surprised at the aggression that his opponent showed. I believe that Obama carelessly overlooked this initial debate. Many onlookers claimed that this was indeed the President’s plan; to sit back and let Romney still his beans, so that he could then counterattack during the second debate. I don’t believe Obama has that much political capital to follow such a plan. It should be an all out blitz attack on his opponent that has no business on the same stage as the President at any time. Romney believes and last nights performance has undecided votes waning towards siding and eventually voting for him. The Obama camp needs to recognized, retreat, and come up swinging and applying pressure throughout the next debate. If this election is close, it will be over for the Obama’s on 1600 Pennsylvania Avenue. That’s just my humble opinion.